The World Bank’s high-profile chief economist Paul Romer is leaving his job after only 15 months, “effectively immediately”. 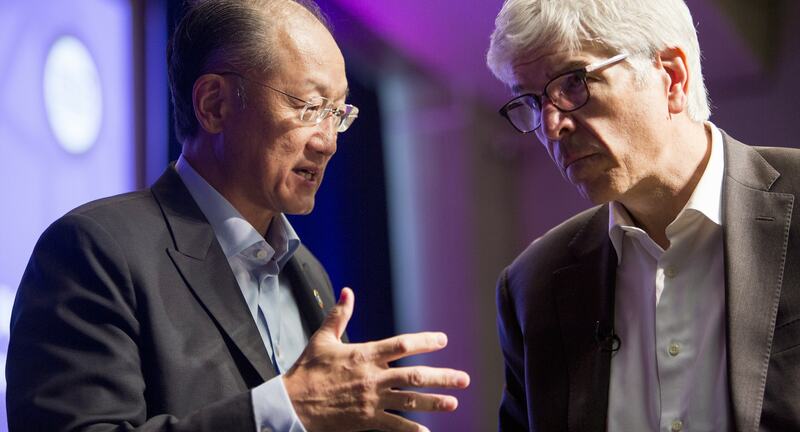 World Bank president Jim Yong Kim said, “I know he regrets the circumstances of his departure”. Clearly there have been problems. What can we make of these embarrassing events in one of the world’s top international economic institutions? Romer’s departure is obviously a problem for the World Bank. He is a superstar in the international economics league and one of America’s most celebrated economists. It was a coup for the World Bank to recruit Romer in 2016. To lose him, especially in this way, will cause angst for management. One reason a high-profile chief economist is needed is to serve as one of the World Bank’s top diplomats. As the World Bank's global ambassador, Jim Yong Kim is expected to spend much of his time travelling the globe to make speeches and meet heads of state. But the president can’t be everywhere. Support from top officials, such as a high-profile chief economist, has always been a key part of the World Bank’s outreach. Judging from media reports, Romer has run into both internal and external conflicts since joining the Bank. It is well known that shortly after his arrival, Romer locked horns with the 600 or so economists on the World Bank staff over various issues. The Economist has noted that Romer’s stint at the Bank “has been marked by reports of clashes with other leading officials there over issues from grammar to management”. His objections to the language used in Bank documents (such as the excessive use of “and”) as well as other disagreements led to the unusual decision last May to sideline Romer from various management duties. Romer is surely right to criticise loose language. Other observers have noted that the language of many World Bank documents has changed significantly in recent years. Franco Moretti and Dominique Pestre analysed bank language in a highly entertaining article on “Bankspeak”, noting that the language had become more self-referential and more inclined to contain “many promises and very few facts”. Nevertheless, in joining the World Bank Romer took up a post, perhaps unwittingly, in an international organisation whose public language inevitably needs to be diplomatic and flexible. Romer has had other sharp disagreements. The most recent, which seems to have triggered his decision to resign, was his surprising criticism a few weeks ago of the World Bank’s procedures for classifying countries in its “Doing Business” index. The Chilean government accused the World Bank of treating Chile unfairly when constructing the index. Romer then ventured into a political minefield when he said he would recalculate the numbers and couldn’t defend “the integrity” of the processes used. These events triggered loud alarm bells inside the World Bank. In an unusual step, the Board of Directors discussed the matter and issued an official statement, noting the “concerns expressed by World Bank Chief Economist Paul Romer” and promising that an external review of Chile’s indicators would be conducted. The fuss reflects the tensions that can arise in official agencies when there are attempts, as is said, to link town and gown. High-flying academics (“god professors”) accustomed to individual freedom can find it hard to adjust to the constraints within official bureaucracies. A key challenge for the next chief economist of the World Bank, therefore, will be to juggle both external and internal expectations. ... the World Bank Group must operate in the world of diplomacy. This creates an inevitable tension between the domains of science and diplomacy. These domains require communication using a different tone and vocabulary. They establish different norms about which actions by participants are morally right or wrong. In particular, the most important goal of diplomacy is agreement. Ambiguity can help establish agreement. Clarity can sometimes undermine agreement. Once an agreement has been established, it is not helpful for anyone to challenge it. This observation summarises the problem neatly. Hopefully the next chief economist of the World Bank will be able to find the middle ground between high academic standards (needed to ensure professionalism within the Bank) and the priorities of international economic diplomacy (needed to protect the external relations of the institution).